Great communication, well packaged, solid item! Very good seller. Pleased with item. Battery dies WAY TO FAST for the Price of the vac. On both settings. 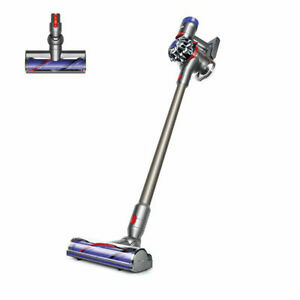 This is our 2nd Dyson. We have the model below it and it works just fine. This model is more powerful and quieter. I think. They stand behind their products. Just like manufacturers used to, back in the day. We also have their hair dryer. My wife abdolutely loves it too. Perfect for my apartment and my couches!